You can’t be a diva when it comes to getting sleep! 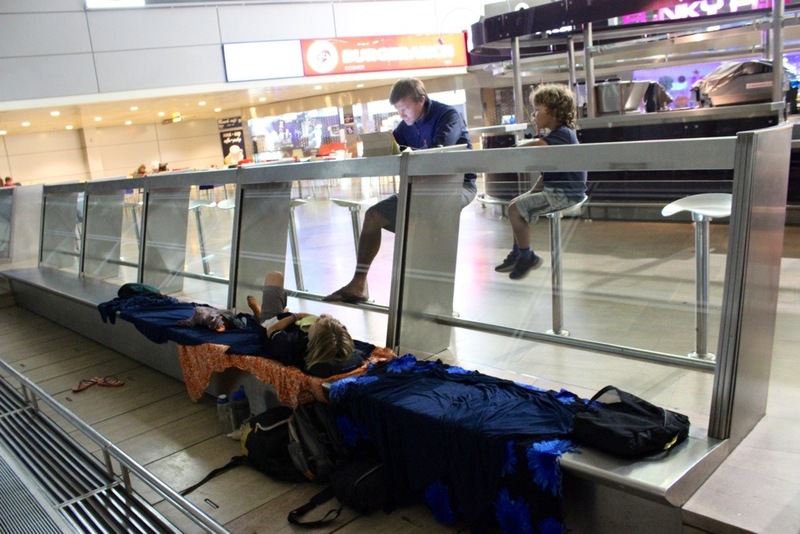 Here are some photos of our “accomodations” at the Tel Aviv airport. 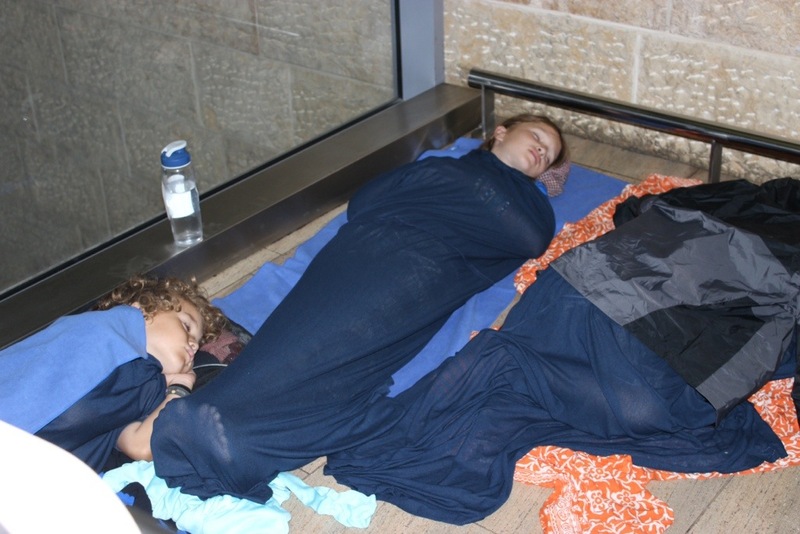 Looks like Emerson is dreaming of being back in Cairo with the mummies! This arrangement provided much more legroom than we had the night before- we had to sleep in a car in Jerusalem (long story.) The next day we found a public bathroom to freshen up in. 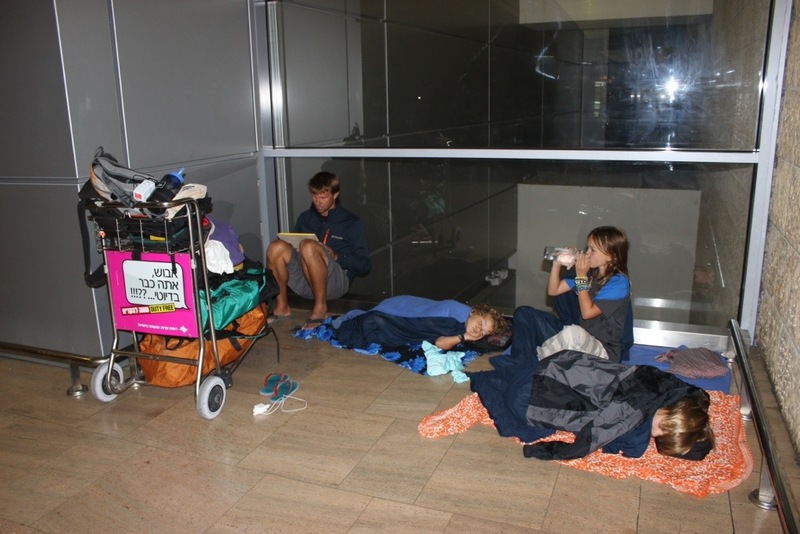 You can see in some of the photos taken in Jerusalem and Bethlehem- we are looking worse than usual (didn’t know that was possible.) ha!